Charming South Tampa home located in the quaint Ballast Point neighborhood. Natural light abounds in this 3-bed, 1-bath home featuring solid oak floors, Pella ThermaStar® double-pane windows, and an air-conditioned garage/bonus room with insulated, hurricane-rated door; perfect for a home gym, playroom, or craft room. The spacious, fenced yard offers plenty of room for outdoor entertainment, plus a large Tuff Shed for all your storage needs. 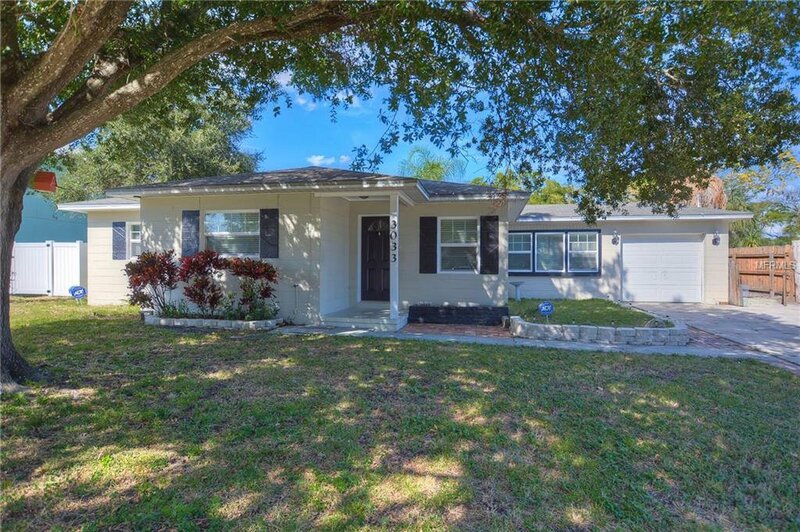 Conveniently located less than 1 mile from MacDill AFB, this home is also just a short drive to plenty of retail, restaurants, Bayshore, Hyde Park, and Downtown Tampa. Listing courtesy of PREMIER REALTY OF TAMPA. Selling Office: RE/MAX CHAMPIONS-LAND O LAKES.